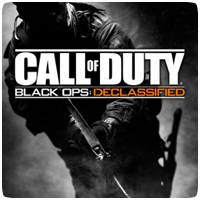 Black Ops Declassified’s single-player campaign offers covert missions that help bridge the story gap between the original Call of Duty: Black Ops and the soon-to-be-released Call of Duty: Black Ops II, while the multiplayer offers mayhem for up to eight players over Wi-Fi connections. “We’ll have a variety of game modes and maps, including some that are custom made for PS Vita and others that leverage fan favorites from the Black Ops series, but tailor made for PS Vita,” explains the game’s producer at Activision, Neven Dravinski. The multiplayer game modes include 4v4 Team Deathmatch, Kill Confirmed, and Drop Zone, but the developers confirm that other modes will be available too. The game will make use of the touch screen for melee attacks and will even let you share loadouts with your friends via Near technology. Call of Duty: Black Ops Declassified is due out this November. There was no mention of a multiplayer beta for the title, however.